Next week, Content Marketing World will open its doors and kick off 3 days of content marketing madness for attendees from all over the United States. TopRank Online Marketing CEO Lee Odden (@leeodden) will be sharing insight from his 10+ years of experience with attendees in a solo session titled “Optimize and Socialize for Better Content Marketing – SEO & SMO” which is sure to be flush with inspiration and tips for optimizing your own content strategy. If you have attended Content Marketing World in the past, or are going for the first time, you are in for a big treat. 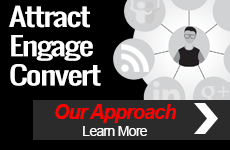 If you’d like to learn more about TopRank’s involvement at Content Marketing World please take a peak at the information included below. 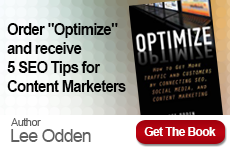 TopRank Online Marketing has created and is co-marketing an exclusive e-book for attendees of Content Marketing World. This e-book features 25 content marketing secrets shared by industry experts that are speaking at the event. For a glimpse into some of the speakers who will be featured in this e-book, be sure to take a look at some of the posts already shared on TopRankBlog.com. 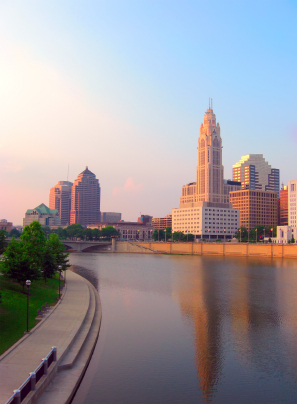 We look forward to running into some old friends and making some new ones at the upcoming Content Marketing World. Be sure to follow the conference buzz on Twitter under the hashtag: #cmworld. If you’re interested in learning more about the specific sessions be sure to visit the Agenda page on the Content Marketing World website. 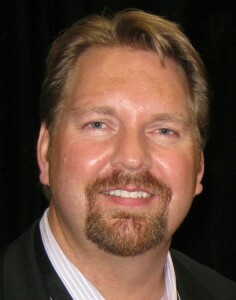 TopRank CEO Lee Odden (@LeeOdden) will be interacting and and tweeting at the event. Also, be sure to check out @TopRank for those of you who do not already follow us.